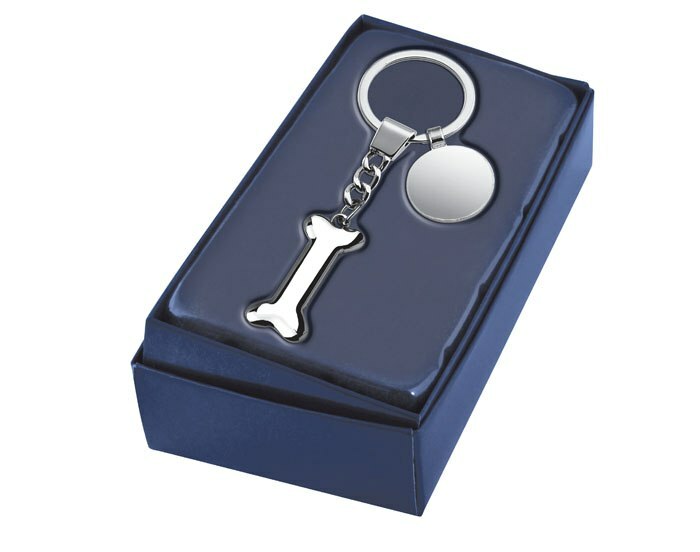 Personalised Engraved Stainless Steel Silver Dog Bone Keyring. 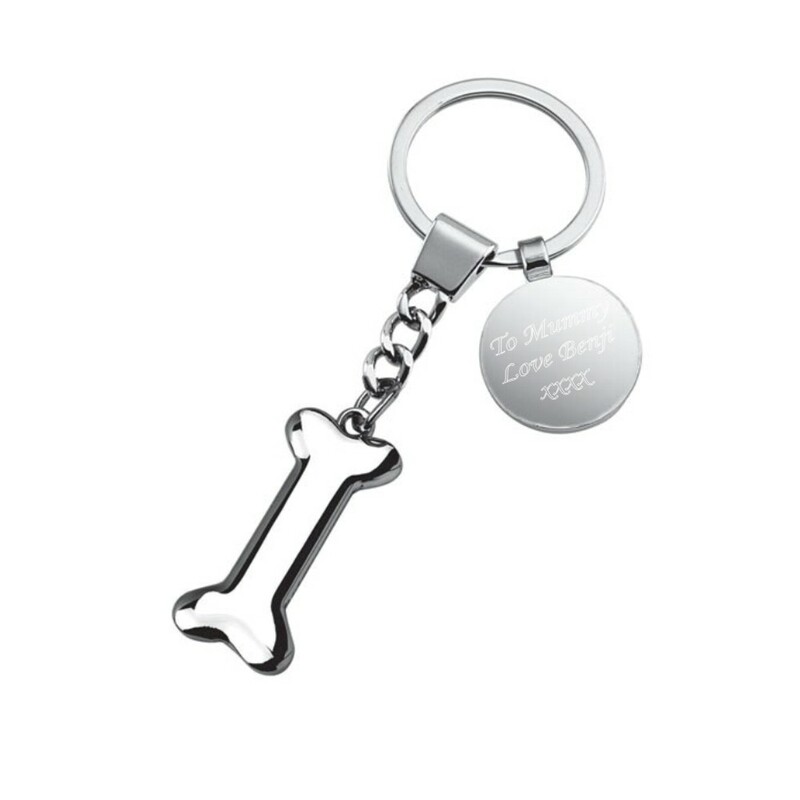 Personalise your keyring with your text, a great engraved gift from the dog to it's owner! It will be engraved on the circular gift tag on the keyring. This unique gift measures 120 x 80 x 15 mm. Length includes the keychain.